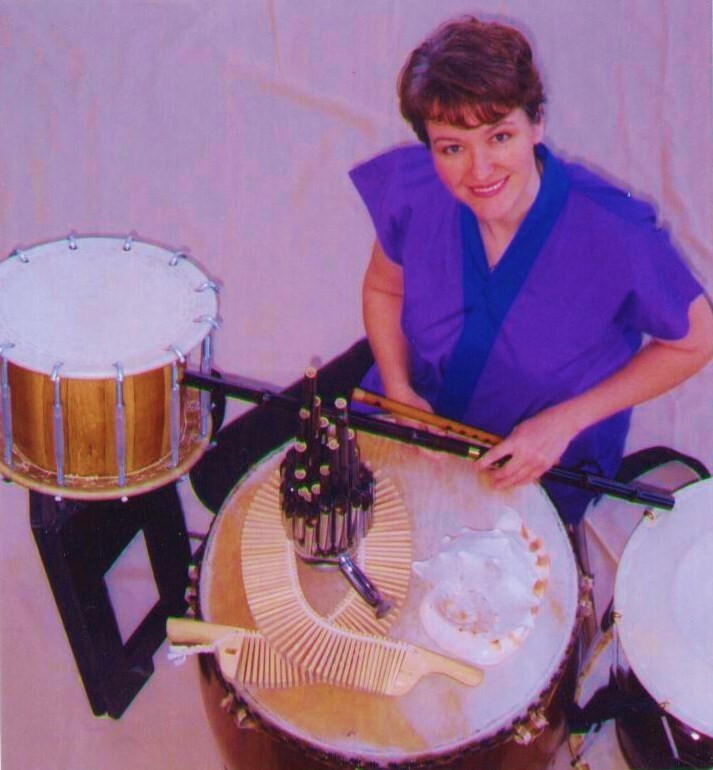 Eileen joined Fushicho Daiko/Phoenix Drummers as a performer and instructor in 1994 and has performed with them throughout Arizona, the Southwest as well as in Japan in school residencies, assemblies, festivals and tours. As an individual artist, Eileen performs and teaches Taiko, Japanese bamboo wind instruments and the Korean Changgo drum. Eileen has incorporated her Taiko program in numerous after school, summer school and library programs throughout the Phoenix area. Four trips to Japan and three trips to China have included studying and performing Taiko and wind instruments. Eileen majored in the flute with a minor in piano and saxophone and earned a B.S. degree in Music Education, K-12 and a Master’s degree in Deaf Education, K-12. She has taught Taiko and music in public, private and state schools for over 20 years. Eileen’s first instrument, at the age of six, was the accordion. She began Accordion competitions the following year and won awards every year she participated, including placing 3rd of all 16 year olds nationally. Eileen was a founding member of the folk band The Wilderness Family which produced a CD to much US and UK acclaim.